It's always exciting hearing about new talent that emerge on the scene. Hailing from the R Entertainments camp presents Yemi - a cute and super talented singer/songwriter on the come-up. Currently based in Dublin, Ireland the young and hardworking new Afro sensation originally hails from Oyo State - in Nigeria and has shared the stage with the likes of Davido, Kcee and Tillaman in such a short space of time since he appeared on the scene. 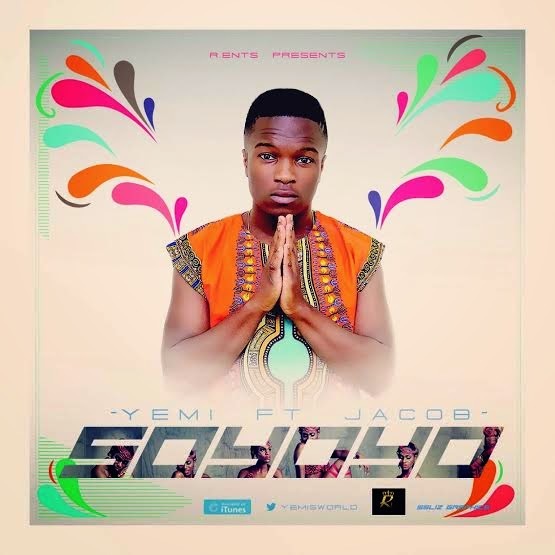 Yemi has premiered his debut single ‘Soyoyo’ - a more slow tempo anthem that shows off his distinctive sound and style of music. Due to show off his diversity over the course of the year - Yemi's ‘Soyoyo’ grasps the listener from the opening bars of the song and is set to put him on the map as a one to watch act of 2014, and will see him as one of the most promising acts Nigeria has yet to see.